A residency for up to 6 weeks offered to professional recorder musicians. Members of the Oregon Coast Recorder Society have raised $103,000 to establish a recorder residency at Sitka, beginning in 2003. To be eligible for the residency, applicants are required to earn part of their income from recorder performance or composition. This is to indicate that applicants should have a degree of professionalism, and people at the beginning of a career are as welcome as mature artists. Residencies are 4 – 6 weeks in length, and living space and a studio are provided. 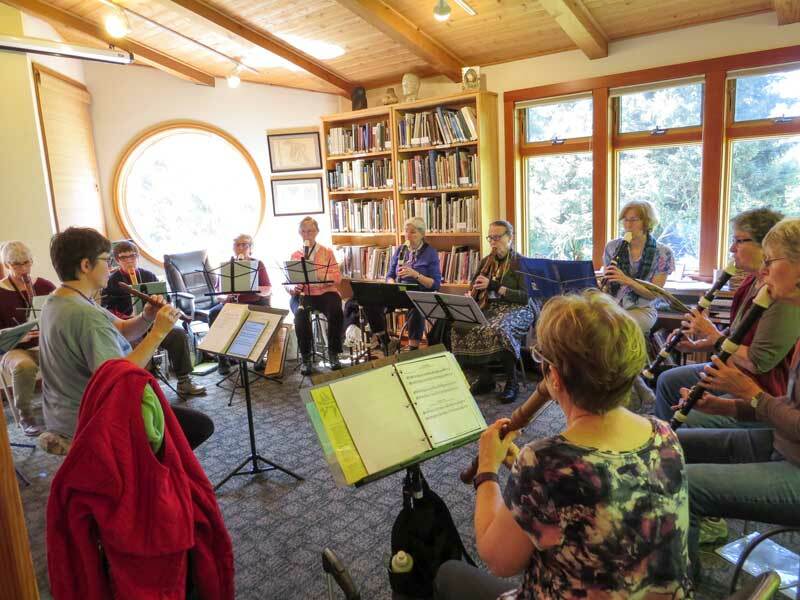 Past residents have taught three-day workshops (as part of the annual spring Oregon Coast Recorder Society Workshop at the Sitka Center) and given concerts in the community. Our Residency Program Overview addresses many questions that applicants have about being at resident at the Sitka Center.